Québec is one of the world's most beautiful cities, and the Old City is a UNESCO World Heritage Treasure. The area's European appeal and North American lifestyle, complete with a storied history, thriving arts scene, and vibrant French-speaking culture, make it truly one of a kind. Québec City is a sought-after tourist destination throughout the year. A new palette of vibrant colours and a slate of different activities mark the changing of the seasons. The spring features an impressive outburst of greenery as the region casts off its wintry cloak. To take advantage of the warm summer days, people flock to sidewalk cafés, parks, outdoor concerts and bustling streets. A bracing breeze that rustles the leaves in vivid hues of yellow, orange and red heralds the fall. 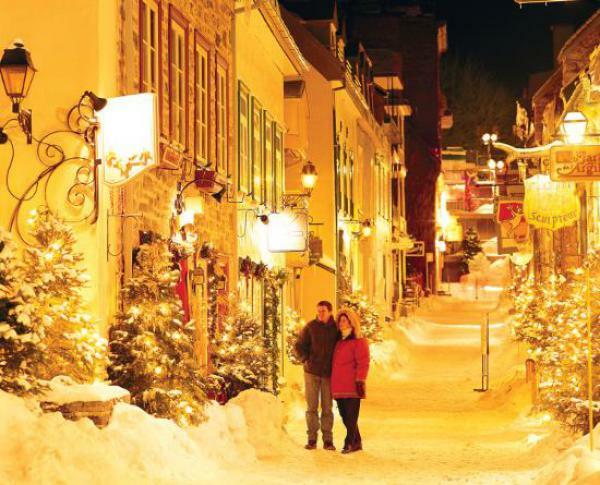 But winter in Québec City, with its abundant snowfall and landscape of crystalline beauty, is something truly special. Several festivals and celebrations are held during the winter months. The Québec Winter Carnival is one of the world's largest winter carnivals, featuring two night parades hosted by the jovial Carnival spoke snowman, Bonhomme Carnival; a canoe race over the icy St. Lawrence River; an ice castle in Old Québec; snow and ice sculptures; dogsled races; and a multitude of games and activities for the whole family. The Québec Winter Carnival embodies the magic and spirit of winter in the Greater Québec City area. Thrill-seekers of all ages can go sledding on the Plains of Abraham or zoom down a slide run next to the Fairmont Le Château Frontenac. Choose from among a wide range of outdoor activities, including snowshoeing, ice climbing, dogsledding and snowmobiling. 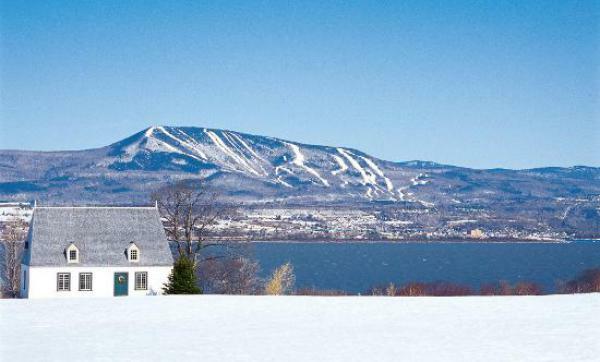 The Greater Québec City area is linked to the Trans-Québec snowmobile network that comprises 30,000 km (18,000 miles) of groomed trails. Many competitive sporting events are held here in the winter. Cross-country skiers can participate in the Loppet Mont-Sainte-Anne, which consists of three races: 5 km, 25 km and 50 km. Every year, Québec City hosts the LG Snowboard FIS World Cup. X-treme athletes can test their mettle during Grand défi des glaces, an ice canoe race where competitorsmust make three trips across the St. Lawrence River. Shortly after the Québec Winter Carnival ends in February, young hockey players from several countries come to take part in the International Pee-Wee Hockey Tournament.